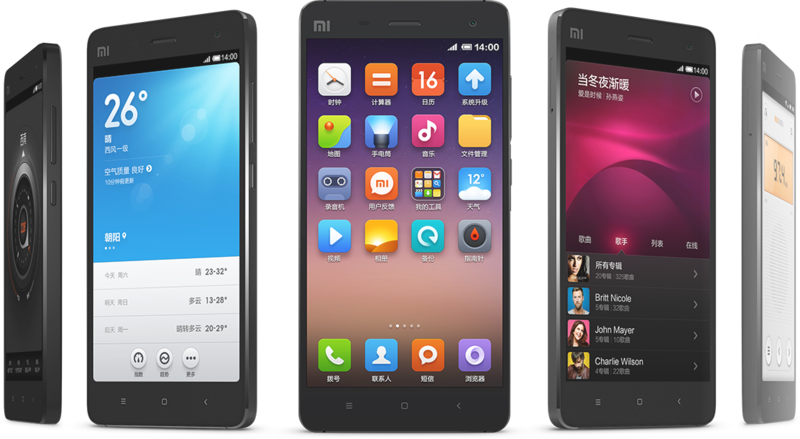 The Mi4 has been the next most awaited flagship by Xiaomi and without testing more patience of its fan base in India, the company is geared to launch the Mi4 tomorrow. The world’s third largest smartphone manufacturer has sent out media invites for the same. The press invite adds a photo that depicts three similar devices in a row. 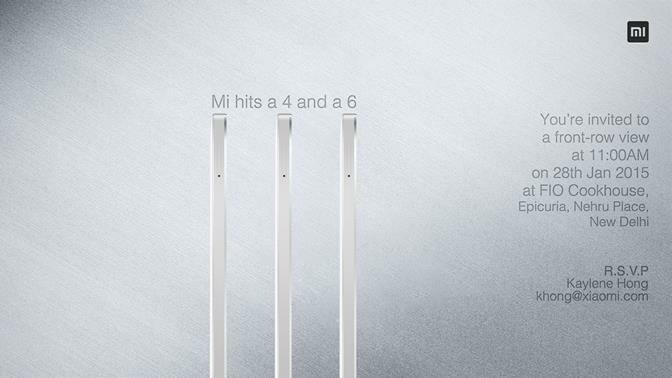 On the top of them is a quote “Mi hits a 4 and 6.” Xiaomi has tapped on the right nerve to entice Indian customers by talking the language of cricket. It can be said that the Chinese smartphone maker might have special plans for Mi4 and a collaboration with sports can be expected. 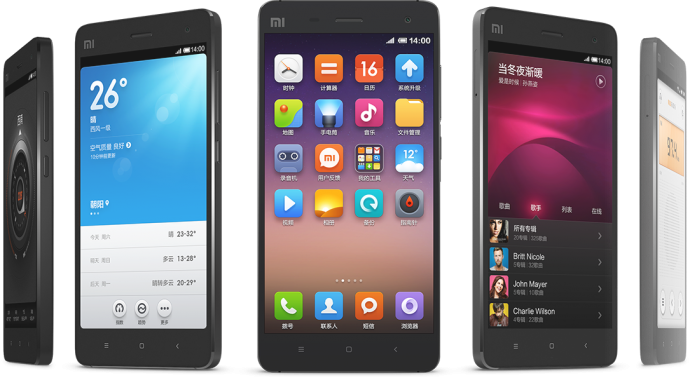 Xiaomi unveiled the Mi4 in July last year. The phone flaunts a 5-inch (1920 x 1080 pixels) IPS display. The device is powered by a 2.5 GHz quad-core Snapdragon 801 processor paired with 3 GB of RAM. Packing a massive battery of 3,080mAh, the handset comes with 16 GB or 64 GB of nonexpendable internal storage capacity. On the camera front, the Mi4 has a power packed 13MP rear snapper with LED Flash, Sony IMX214 BSI sensor and 4K video recording, along with a whopping 8MP front shooter with Sony Exmor R sensor. The phone runs on Android 4.4.3 KitKat and includes connectivity options like 4G LTE, 3G, Wi-Fi, Bluetooth, GPS and Wi-Fi Direct. The handset is likely to be priced under Rs. 20,000.